Since early 2014 various countries have imposed sanctions against Russia. After 4 years these sanctions have become part of the Russian reality of doing business and it doesn’t look like they will be abolished any time soon. However, what is meant with the term “sanctions” in everyday speech can differ. It could be that the speaker means EU sanctions or US sanctions against Russia, but they also could be referring to Russian countermeasures against these sanctions. Moreover, the EU and especially the US sanctions consist of a complex maze of rules. For a layman, it will be very difficult to make sense of it all and get a comprehensive overview of the current ‘sanctions landscape’ with regard to Russia. 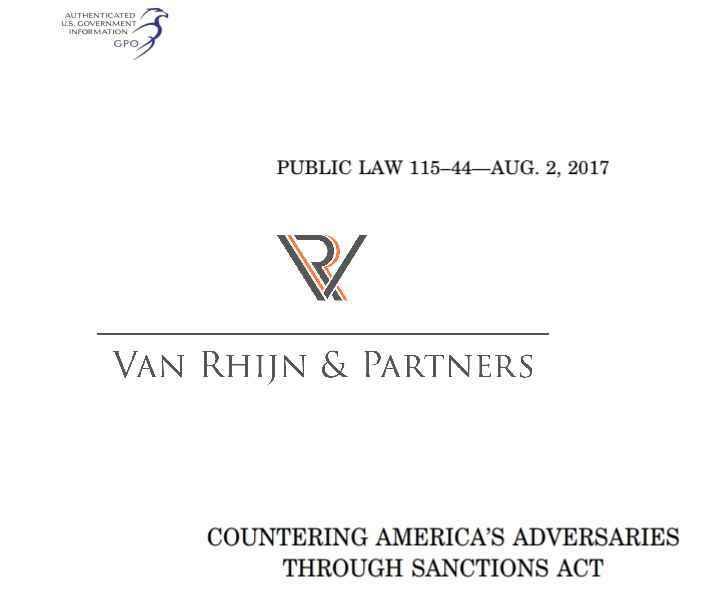 With this blog post, I endeavour to give an overview of the current situation, point out how the sanctions could have an impact on your business plans in Russia and explain how Van Rhijn & Partners can help you. The trend of the US to increasingly choose for unilateralism and adopt sanctions with extraterritorial effect (or as they call it: secondary sanctions) places non US companies and persons for a dilemma; should they comply with sanctions from a jurisdiction that is not their own and forgo interesting opportunities in Russia or should they take the Russian opportunity and run the risk of becoming a target of US sanctions themselves? This is something that each company should decide for itself. Neither US nor European sanctions completely prohibit doing business in Russia. But a proper understanding of the sanctions regime and carrying out at least a minimum due diligence research of your Russian counterparties is essential nowadays. Van Rhijn & Partners can conduct the due diligence research that your company needs. EU sanctions against Russia are laid down in many different Regulations These regulations have subsequently been amended by other regulations. But, instead of publishing an official new amended Regulation, the EU just publishes a new Regulations to introduce the amendment. The EU does publish so-called ‘consolidated Regulations’, which are essentially the Regulations as they have been amended. These Consolidated Regulations, however, are just published as documentation tools and don’t have any legal value. So while it is on the one hand more convenient to work with consolidated Regulations, one should be careful with it. For ease of use, I link to consolidated Regulations in this blog post. The most comprehensive overview of EU sanctions against Russia I have found not on the EU’s website, but on a blog on European Sanctions. Currently 155 Russian persons and 44 Russian companies are subject to EU sanctions (asset freezes and visa bans). Like, for example, in the field of EU Competition Law, in the first instance the member states themselves have to assure compliance with EU Sanctions. Because the sanctions cover many different policy areas, usually different institutions within a member state are responsible for compliance with sanctions regarding the policy area(s) they are competent in. Obviously, each member state has its own competent institutions that carry different names. That’s why in EU Sanctions Law reference is made to the generic term ‘competent authorities’.In Annex I of theCouncil Regulation (EU) No 833/2014 of 31 July 2014, concerning restrictive measures in view of Russia’s actions destabilising the situation in Ukraine (further: the Ukraine Sanctions Regulation), links are placed to websites hosted by the different member states on which they explain which authorities are competent in their territory. It is not allowed to export arms and related goods to Russia. Such has been laid down in the Ukraine Sanctions Regulation. Which arms and related goods are meant is laid down in the EU’s Common Military List. Not only is it prohibited to export military goods to Russia. Article 4 of the Ukraine Sanction Regulation also prohibits providing technical assistance related to the goods on the Common Military List. The same goes for so-called dual-use goods. Dual-use goods are goods that are normally used for civilian purposes, but can also be used for military purposes. More info about dual-use goods can be found on this EU website. Article 5 of the Ukraine Sanctions Regulation prohibits purchasing, selling and providing of investment services for assistance in the issuance of, or otherwise deal with transferable securities and money-market instruments with a maturity exceeding 30 days to or from the major credit institutions, which are mentioned in Annex III. Sberbank is Russia’s largest bank. The same prohibition regarding transferable securities and money market instruments apply to legal persons, entities or bodies established outside the Union which are directly or indirectly owned for more than 50 % by one of the entities mentioned in AnnexIII, listed above, according to section b of paragraph 1 of the same article. The same restrictions on acces to the capital market apply to companies, which are owned by the above mentioned companies. According to article 3 of the Ukraine Sanctions Regulation for the export and sale of certain goods to Russia, prior authorization is required. The goods wich are meant are listed in Annex II. It are mainly goods related to the oil and gas industry. From a legal point of view the peninsula Crimea and the city of Sebastopol are separate administrative units. That’s why, throughout the EU sanctions regulations it is stated over and over that they apply to the Crimea and Sebastopol. Because there is no difference between the sanctions that apply to the Crimea and to Sebastopol I have, for reasons of readability, opted to just mention Crimea below. Please keep in mind that everything that is said about Crimea below also applies to Sebastopol. The main regulation applying to Crimea is Council Regulation (EU) No 692/2014 of 23 June 2014 (hereinafter: Crimea Sanctions Regulation) concerning restrictions on the import into the Union of goods originating in Crimea or Sevastopol, in response to the illegal annexation of Crimea and Sevastopol (I haven’t found a consolidated version unfortunately). Current EU sanctions against Crimea will remain in force until 23 June 2019. Unless the scene changes dramatically, they are very likely to be prolonged before that date. Article 2 section a of the Crimea Regulation completely bans any imports of goods originating in Crimea. Section b of the same article prohibits providing financing or financial assistance as well as insurance and reinsurance related to such prohibited imports. Article 3 makes an exception for goods originating in Crimea, but approved for export by the competent Ukrainian authorities, in accordance with certain regulations and the Association Agreement between the EU and Ukraine. Later article 2 a was inserted into the regulation and with it a prohibition to acquire any new or extend any existing participation in ownership of real estate located in Crimea. If you are interested in Russian real estate law, please have a look at my earlier blog posts on this theme. It is also prohibited to acquire any new or extend any existing participation in ownership or control of an entity in Crimea. Section of paragraph of the same article contains a prohibition to acquire any new or extend any existing participation in ownership or control of an entity in Crimea. Also founding a Joint Venture in Crimea is prohibited (section D of the same paragraph). This prohibition is contained in article 2a paragraph 1 section c of the Regulation. What the term ‘investment service’ encompasses is laid down in article 1 section i of the Regulation. No investment services regarding the prohibitions contained in article 2a, paragraph 1, section a-d are allowed. The second paragraph of article 2a explicitly states that the restrictions just mentioned regarding Crimea do not apply to the conduct of legitimate business with entities outside Crimea or Sevastopol where the related investments are not destined to entities in Crimea or Sevastopol. This means you may legitimately engage in business activities with a Russian company, even if it has an establishment in Crimea, as long as the investments are not destined for Crimea. Doing business with Russian companies that have a presence in Crimea might prove troublesome in practice though.If they are dishonest with you about the Crimean destination of the goods, you will be the one infringing EU sanction law and the consequences of that might be serious. This explains Siemens offensive reaction when its gas turbines, which were supposedly destined for mainland Russia, ended up in Crimea. Article 2 b of the regulation refers to a list of goods in Annex II that may not be supplied to any natural or legal person, entity or body in Crimea. Nor may they be supplied if they are destined for use in Crimea. Annex II mainly consists of goods which can be used in the transport, telecommunication energy, the prospection, exploration and production of oil, gas and mineral resources. Article 2 c also prohibits to provide technical assistance, or brokering, construction or engineering services directly relating to infrastructure in Crimea in the sectors referred to in Article 2b(1) as defined on the basis of Annex II, independently of the origin of the goods and technology. The prohibitions of paragraph 1 and paragraph of article 2b however do not apply when there are no reasonable grounds to determine that the goods and technology or the services are to be used in Crimea. In a way this is rather strange. So it would be in accordance with the law to sell the listed goods services and technology to a middleman in Crimea, as long as he offers a convincing explanation that they will not be used there. The same prohibition applies to any activities the object or effect of which is to circumvent the prohibitions referred to in paragraphs 1 and 2 (of art 2c of the Crimea sanctions Regulation). Paragraph 1 of article 2d bluntly determines that it shall be prohibited to provide services directly related to tourism activities in Crimea or Sevastopol. In particular, it shall be prohibited for any ship providing cruise services, to enter into or call at any port situated in the Crimean Peninsula listed in Annex III. This prohibition applies to ships flying the flag of a Member State or any ship owned and under the operational control of a Union shipowner or any ship over which a Union operator assumed overall responsibility as regards its operation. This prohibition may only be ignored in emergency cases (paragraph 3). A view of the port of Sebastopol. Maintenance in order to ensure safety of existing infrastructure is, according to paragraph 2 also a ground to grant an exception from the prohibitions, that the competent authorities can refer to. The competent authorities are given broad discretionary powers to grant (or not to grant) authorisation for otherwise prohibited activities in cases of urgent prevention or mitigation of an event likely to have a serious and significant impact on human health and safety, including the safety of existing infrastructure, or the environment. concerning restrictive measures in respect of actions undermining or threatening the territorial integrity, sovereignty and independence of Ukraine sanctions Regulation it is prohibited to engage in such activities. According to Article 5 of the Crimea Sanctions Regulation actions shall not give rise to any liability if they did not know, and had no reasonable cause to suspect, that their actions would infringe the measures set out in this Regulation. Apparently some people and organisation could, at least theoretically claim damages for the changed landscape that was created by the introduction of the sanctions. Article 6 makes clear that, whatever happens, no compensation shall be given to the people who, according to the EU, are to blame for the current situation. any natural or legal person, entity or body acting through or on behalf of one of these persons. Also people or entities, which have been found guilty of breaking the Sanctions law are not entitled to any compensation (c). As was mentioned already, enforcement of EU sanction is in the beginning a national matter. It are the competent authorities of a member state that should make sure the sanctions are complied with. The EU however, understandably tries to encourage the Member States to have some kind of uniformity regarding the compliance with and enforcement of sanctions law. To this effect the EU has published several documents, for example the European Commission’s guidance note on the implementation of certain provisions of the Ukraine Sanctions Regulation and the Council has published the more generally applicable EU Best Practices for the effective implementation of restrictive measures. These are the documents the competent authorities are expected to rely on. In the UK, for example, the Office of Financial Sanctions Implementation is charged with looking after compliance with the financial sanctions (obviously). In the Netherlands it are the Central Bank of the Netherlands and the financial market authority AFM that are competent in these areas. The penalties that may be imposed for breaching EU sanctions law may differ between one member state and another. The United Kingdom has already announced that it will adopt new sanctions against Russia when it will have completed Brexit. It is, however, unclear what should be understood with ‘completion of Brexit’. This could mean the moment on which the UK formally will no longer be a part of EU, on 29 March 2018, or 31 December 2020, when the transition period will have ended. Like EU sanctions, US sanctions rules are scattered among different legislative instruments. The most important I will discuss here below. This bill was signed into law by president Obama in 2012. It intended to punish those responsible for the death of Russian tax accountant Sergey Magnitsky (wikipedia). Sergey Magnitsky allegedly discovered large scale corruption in Russia. He was himself arrested and incarcerated in Moscow’s Butyrka prison, where he got sick, didn’t receive the adequate medical care and eventually died in custody in 2009. In the beginning only people who were directly involved in the Death of Sergey Magnitsky were placed on the list. Eventually more and more names were added to the Magnitsky list also of people who had nothing to do with the case with which it all began. People whose names are on the list are not allowed to enter the United States and to make use of its banking system. In 2016 the US adopted the Global Magnitsky Act (GMA). GMA allows the US government to punish corrupt officials involved in human rights abuses anywhere around the world. With the adoption of GMA Sergey Magnitsky has been made, at least in the USA, into a global symbol of Human Rights Abuses and injustice in general. This is a thorn in the flesh of the Russian government. Before the election of president Trump Russia was lobbying hard to get the Magnitsky Act repealed. Canada, Estonania. the UK, Latvia and Lithuania have adopted their own Magnitsky legislation. Immediately after the alleged annexation of Crimea the US has adopted sanctions against Russia. But only on the 2nd of August 2017 “Countering American Adversaries Through Sanctions Act” (CAATSA) was adopted. CAATSA consolidates the US sanctions regime against Russia and other countries. Maybe the most important change that has been introduced with CAATSA is that both imposing and withdrawing sanctions is no longer the sole prerogative of the American President. During the election process many considered that, if Trump would be elected, he might get rid of some of the sanctions. But with the adoption of CAATSA, he can no longer do this without the approval of Congress (sec. 216 CAATSA). On the basis of International Economic Powers Act (IEEPA), the US president can establish that somewhere in the world, outside of the USA, an emergency is taking place, which is threatening the USA and adopt measures to deal with the threat. In 2014 President Obama determined on the basis of IEEPA that the situation in Ukraine is a threat to USA. And executive Order 13660—Blocking Property of Certain Persons Contributing to the Situation in Ukraine was adopted on the basis of IEEPA (and other legislation). If you are neither a citizen nor a resident of the USA, you might assume that US sanctions against Russia won’t affect you. But you might want to reconsider this assumption! By using the instrument of extraterritorial, or as they are known in the US, “secondary sanctions”, the American legislator imposes its will on the rest of the world. In practice this means that, if you’re not acting in accordance with US sanctions you risk being targeted by US sanctions yourself, even if you’re not a US citizen or resident. Under President Trump unilateralism of the USA has further increased. Extraterritorial sanctions have currently been mainly imposed against Iran. Many are critical of this practice. According to some extraterritorial sanctions are being used for protectionism for sectors of the domestic industry. Even traditional allies express discontent and sometimes downright rebel against the increasing usage of secondary sanctions by the US. For example, because of new secondary sanctions against Iran, the EU has updated an updated Blocking Statute. This is legislation that aims to mitigate the effects of secondary sanction throughout the EU. The Blocking Statute prohibits residents of the EU to comply with US secondary sanctions against Iran unless a special permit to comply with them has been obtained. There is no EU Blocking Statute to mitigate the effect of secondary sanctions against Russia. But the case with Iran is important to realise that, from a policy point of view, this is a possibility. On 10 March 2018 , shortly after the Crimea referendum took place President Obama signed Executive Order 13660. This Executive Order allows for the freezing of assets of people who were involved in the alleged annexation of Crimea. Later in 2014 Executive Order 13685 was signed by Obama. American sanctions targeting Crimea are laid down in Executive Order 13685 from 19 December 2014. Americans and people residing in the US or companies having their domicile there are not allowed to grant loans to persons or entities on the Sectoral Sanctions Identifications List (SSI List) with a repayment term of longer than 14 days. This maximum repayment term has recently been shortened further, until the end of November 2017 it was 30 days. It’s not allowed to lend money to with a repayment term of longer than 60 days to certain Russian companies in the energy sector. Up till 28 November 2017 this maximum repayment term was 90 days. In addition to these prohibitions to grant long-term loans, it is prohibited to export goods or technology for the benefit of the oil industry for carrying out activities underwater, at a depth of more than 500 feet (152.4 meters), for offshore activities in the Arctic and for shale oil for individuals on the SSI list. It is not allowed to grant loans with a repayment term of over 30 days to certain companies that are active in the Russian defence industry. The American bank accounts of these companies will be frozen. And American persons, companies and residents are not allowed to do business with them. Investments in pipelines with a fair market value of at least 1 million dollars or with a total market value of more than 5 million dollars after 12 months are prohibited if such investment contributes significantly to the export possibilities of Russia (Sec 232 CAATSA). US Secretary of Energy, Rick Perry, announced on 13 September 2018, during a visit to Moscow, to consider introducing sanctions for Nordstream 2. The Americans and many Eastern European countries are against the construction of this pipeline. President Trump, however, has indicated that he does not intend to accept new sanctions because of Nordstream 2, although he is also an opponent of it. According to the Chemical and Biological Weapons Control and Warfare Elimination Act of 1991, within 60 days it has been established that a state has used chemical or biological weapons, sanctions should be imposed. Russia is deemed responsible for trying to kill the former Russian spy Skripal and his daughter with the aid of nerve gas Novichok. The Office of Foreign Assets Control (OFAC) is responsible for picking persons and entities to whom sanctions should apply, on the basis of the legislation. In the legislation merely a global target for the imposition of sanctions is put forward. OFAC has a wide discretionary power for the placement of persons and entities on the sanction lists. OFAC is part of the US Treasury. Apart from that OFAC is also charged with compliance with and enforcement of the US sanctions. After the USA and Canada had imposed sanctions on Russian officials after the alleged annexation of Crimea, Russia retaliated by publishing a list with 9 Americans and 13 Canadians who were denied access to Russia. As the USA, the EU, Canada and other countries banned more and more Russian people from their territory, Russia followed suit. Russia, however no longer makes its retaliation measures publicly available, it no longer published lists of banned individuals. People would find out they were banned from entering Russia when they would try to cross the Russian border. It is therefore unclear how many people exactly are banned from entering Russia at the moment because of Russian countermeasures, also because most western politicians (they are usually the target of Russian countermeasures) didn’t plan to visit Russia anyway and thus never will find out that they aren’t allowed in. The State Council of Crimea (you could say Crimea’s own parliament) has published a list (in Russian language only) with people who are not welcome on Crimea. It is for a large part populated by Ukranian politicians. On august 6 2014 President Putin approved measures to stop imports of certain food into Russia. Later this was furher elaborated on and crystallized into the above mentioned list (the name of which is too ugly to translate). Probably this is the most famous Russian countermeasure. It is for sure in countries, which used to export a lot of food to Russia before these countermeasures were imposed, like the Netherlands and Poland. The EU has prepared a translation of an older version of the list with the food that is subject to the Russian embargo. On 12 June 2018, these measures have been prolonged until the end of 2019. Although the Russian food embargo is meant to be a retaliation, Russia is also trying to use it to develop its agricultural sector and make its economy more self-sufficient. Some Russian companies whose assets were frozen have appealed those decisions. One of them is Almaz-Antey, which also happens to be the manufacturer of BUK missile (which shot down flight MH 17. But they were not succesful. Rosneft has also made its way to court in an attempt to have the company eliminated from EU sanctions list. When that attempt failed their lawyer made the remark that the situation with the rule of law in the EU is sorrowful. When in April 2018 the US slapped sanctions on Oleg Deripaska and Viktor Vekselberg, their companies lost billions of dollars within hours. Other Russian oligarchs in an attempt to prevent the freezing of their assets have moved them to ‘safer havens’. Large amounts of money have been transferred from western bank accounts back to Russia. Getting money that was earned in Russia back to Russia has traditionally been a policy goal of Putin. It’s ironic that the measures that were supposed to hurt him most, might have actually helped him in this case. Both Deripaska and Vekselberg have decreased the stakes in their respective companies after they were hit by sanctions. Because of the volatility of the ruble many Russian citizens have put their saving away in another currency with Russian banks. After the Director of VTB bank (Russia’s second largest bank and also a target of sanctions) suggested that, if VTB would be deprived of using the dollar after additional sanctions had been slapped on it, bank deposits might have to be returned in rubles, instead of in the currency the money was put away in. The Head of Russia’s Central Bank, Elvira Naibulina, has already declared that that won’t happen. But at the same time the policy of the Central Bank is to discourage the use of the dollar in the Russian economy. As mentioned working without the dollar whenever possible is a policy goal of the Russian Central Bank. At the same time Russian officals try to reassure people that the dollar will not be completely banned from Russia. Many critics mention that this policy to discourage the use of the dollar in Russia is mere wishful thinking. Many countries might prefer to work without the dollar, but this is not possible. The central role of the dollar in international trade is simply too strong. Banning the dollar from Russia would mean the end of free trade for Russia according to critics like Dmitry Potapenko. Particularly the Russian food embargo had a big impact on the trade between the EU and Russia. In 2013, before the embargo the import of agri-food products into Russia from the EU amounted to a total of $15,5 billion. In 2016 it amounted to $ 6 billion (source). According to official statistics, Russia has destroyed 26 thousand tons of food since August 2015. 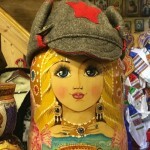 When the Russian food embargo had just been introduced, many producers sought to bypass it by exporting their products to Belarus or Serbia, where they would be labelled as local produce and subsequently enter the Russian market as such. This, understandably led to conflicts between Russia and these countries. Nowadays controls on such practices are stricter. As the USA is increasingly acting unilaterally, the gap between US and EU sanctions against Russia widens. Unfortunately, this increases the level of uncertainty for western business in Russia. The trade relations between the EU and Russia are significantly more important than those between the US and Russia and therefore, the EU is not willing to adopt ever-stricter sanctions, as some American politicians advocate. The effect of US sanctions on non-US companies is often still underestimated. With the growing discrepancy between American and EU sanctions, for some companies, it might come down to an analysis of what is more important to them, their US interests or their interests in Russia. The same trend can currently be observed in Iran. Big players, like the French oil and gas company Total, have pulled out of the country and smaller companies with little or no US presence have been looking to fill the gap left behind by bigger companies. For any internationally operating company with activities in Russia, it is essential to make a proper risk analysis of doing business in Russia. Such an analysis should start with checking whether your Russian counterparties figure on EU or US sanctions list, or are controlled by persons or entities on these lists. 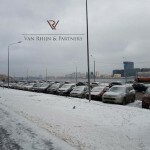 Van Rhijn & Partners can help you make a risk analysis of doing business in Russia and with proper Know Your Customer procedures for your Russian counterparties. This can also be done as part of our Due Diligence Services. But it is important to realise that neither EU law, nor US law contain a prohibition of doing business in Russia. There are plenty of opportunities to do business and earn a profit in Russia. Van Rhijn & Partners is ready to help you seize these opportunities!